Ammo CURB™ is a cost-effective, propionic acid-based mold inhibitor for processed feed ingredients, complete feeds and TMRs. 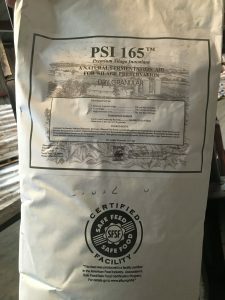 Available at White Oak Mills as a dry product, Ammo CURB inhibits the typical mold growth found in processed corn in storage, handling and complete feeds. Ammo CURB is a trademark of Kemin. Clinoptilolite is one of the most useful naturally-occurring zeolites. Recent studies have uncovered benefits for dairy cattle that support health, reproduction and milk production. Through studies, we’ve noticed patterns and connections between metabolism of the dairy cow and clinoptilolite. Clinoptilolite added to dry cow diets four weeks before calving has been shown to improve the cow’s ability to reach full potential throughout lactation. Calves that received clinoptilolite had a higher number of healthy calves and lower incidence of diarrhea. As your White Oak Dairy Specialist for the Dairy Research Review brochure for BRZ. BRZ is available in 50-pound bags, 2000-pound totes, and in custom dairy feeds. 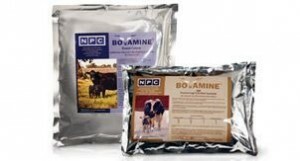 Bovamine® is a patented direct-fed microbial product created from two decades of research. A Chr Hansen product, Bovamine® reduces lactic acidosis, enhances immune response to GI challenges, and overall improvement in GI development as well as provides gains in milk production efficiency. Read more …. Palatable and easy to handle, WOM Forage Extender is designed for producers whose forage inventories have become tight. It is intended to extend hay, haylage and corn silage cost-effectively while maintaining production and body condition. A combination of yeast and beneficial strains of microorganisms (lactic acid bacteria), Nutri-Catalyst™ Live benefits the rumen and lower digestive tract, leading to feed efficiency and improved animal health. Nutri-Catalyst™ Live is available in 40-pound bags and in custom dairy feeds. 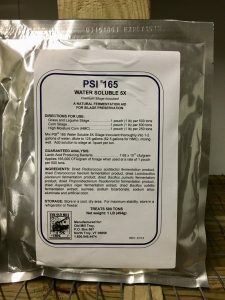 PSI 165® Premium Silage Inoculants are a research-based blend of Lactobacillus plantarum, Enterococcus faecium, Pediococcus acidilactici, Propionibacterium freudenreichii, Bachillus pumilus, and four enzymes designed to provide 165,000 cfu/g of silage at the 1 lb/ton usage rate. 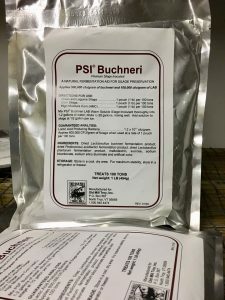 Click here for a PSI Silage Inoculant brochure. Early order discounts are available each year for orders received and paid by February 1st for upcoming Spring and Fall seasons. 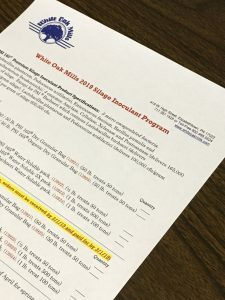 Ask your White Oak Dairy Specialist for more details, or call White Oak Mills for prices. Inclusion rate is 2 to 3 oz per cow per day. Sea-90® is available in 50-pound bags, 2000-pound totes, and in custom feeds. Sea-90 is a registered product of SeaAgri, Inc.